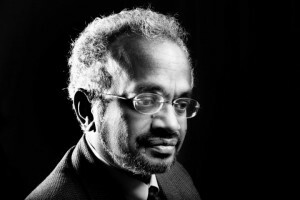 Bio:Shantayanan Devarajan is the Chief Economist of the World Bank’s Africa Region. Since joining the World Bank in 1991, he has been a Principal Economist and Research Manager for Public Economics in the Development Research Group, and the Chief Economist of the Human Development Network, and of the South Asia Region. He was the director of the World Development Report 2004, Making Services Work for Poor People. Before 1991, he was on the faculty of Harvard University’s John F. Kennedy School of Government. The author or co-author of over 100 publications, Mr. Devarajan’s research covers public economics, trade policy, natural resources and the environment, and general equilibrium modeling of developing countries. Born in Sri Lanka, Mr. Devarajan received his B.A. in mathematics from Princeton University and his Ph.D. in economics from the University of California, Berkeley. Mr. Devarajan also hosts the World Bank’s Africa region blog, Africa Can… End Poverty. Is Development Aid effective? Or does it merely line the pockets of corrupt bureaucrats? In a democratized Africa, could a better informed public reverse the trend of corruption and stagnation, by holding public officials accountable? World Bank Chief Economist Shanta Devarajan offers his insights based on decades of experience as an economist in the field. He and Jisung discuss some of the common themes of African Development so far, and look to the future, examining what it might take for Africa to experience sustained economic growth. “What African governments really need is not just money, but advice and counsel on how to reform their policies and institutions so that that money can be productive. I think that’s the biggest challenge facing Africa today” (4:28-4:44). “To make aid effective, we need to make our knowledge effective. We need to provide knowledge so that voters can actually act on it and hold politicians accountable” (24:14-24:29). “For those of you interested in development, you are very lucky to be having this opportunity at this point, because you can make a huge contribution. 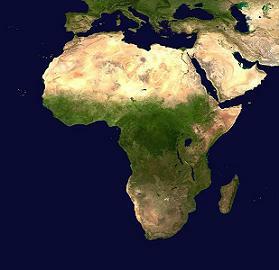 If you think about it, Africa could be on the brink of takeoff the way India was twenty years ago and China was thirty years ago, and this is where the development studies majors or the economists… can really turn things around” (33:00-33:32). Acknowledgements: Haonan Li and Monica Varman contributed to the production of this podcast.